In a recent post, I talked about my upcoming visit with my neurologist. You can read that post at Burning Mouth & Neurologists. 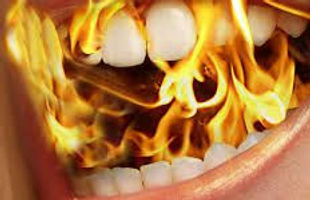 The meeting went fine, and as I expected, there was nothing new for Burning Mouth Syndrome. He refilled my prescription for Klonopin ODT and I will continue my present therapy, which has helped better than anything else I have tried. It’s just about time for my yearly check-up with my Neurologist. I refer to him as #3, since that is how many I have gone through in over 8 years of dealing with Burning Mouth Syndrome (BMS). If you have been reading this blog for a while, you know I have begun my 8th year with the chronic pain of Burning Mouth Syndrome (BMS).